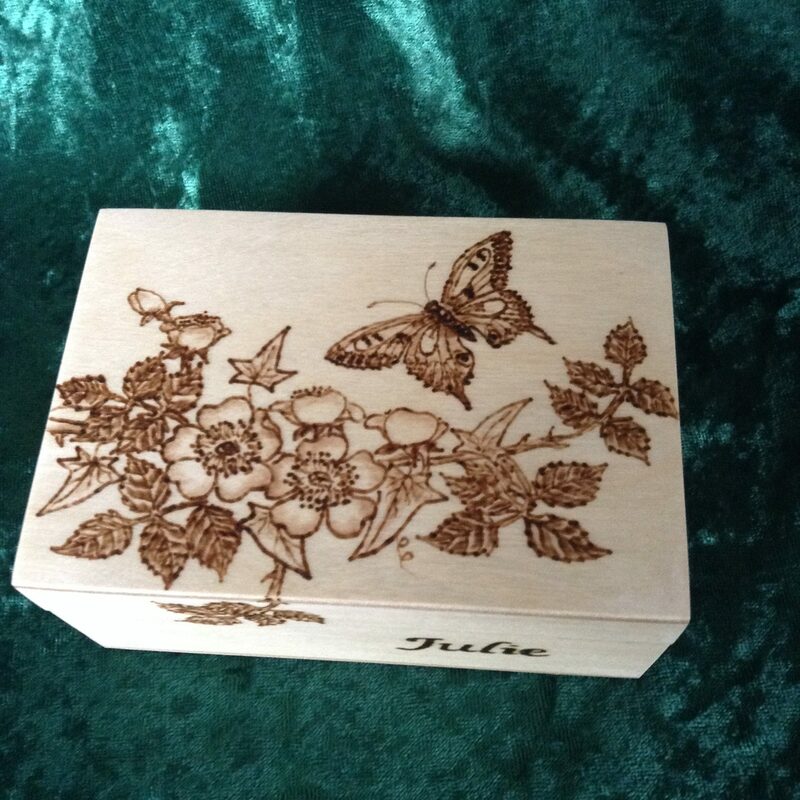 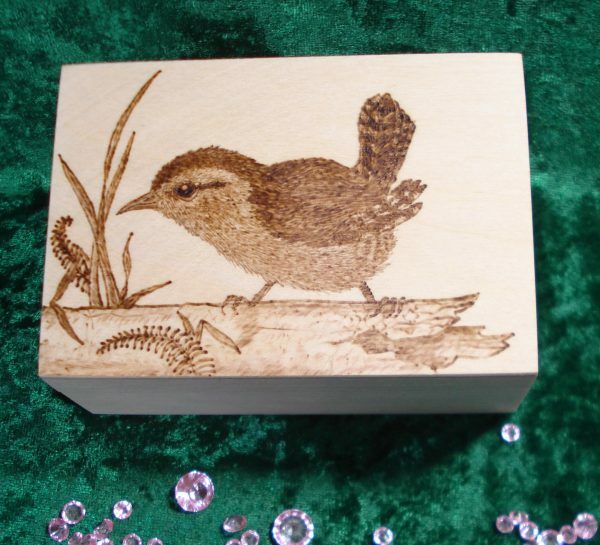 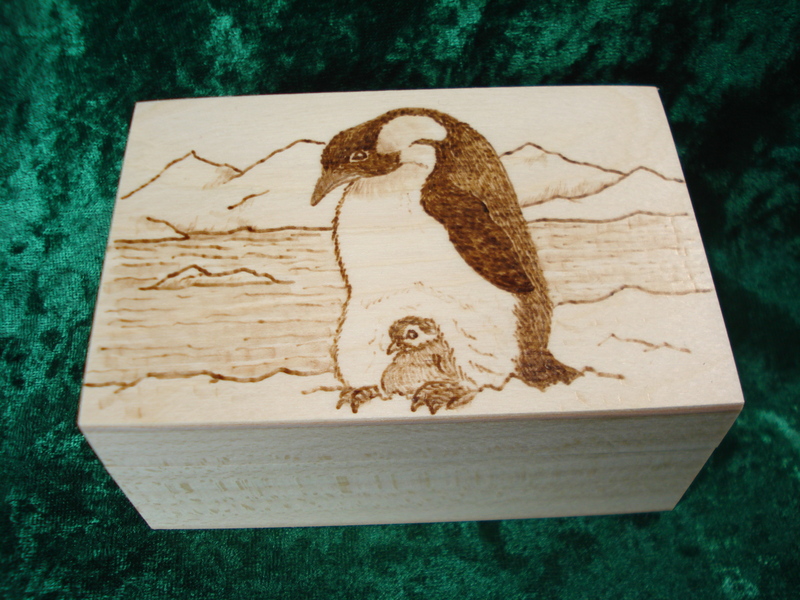 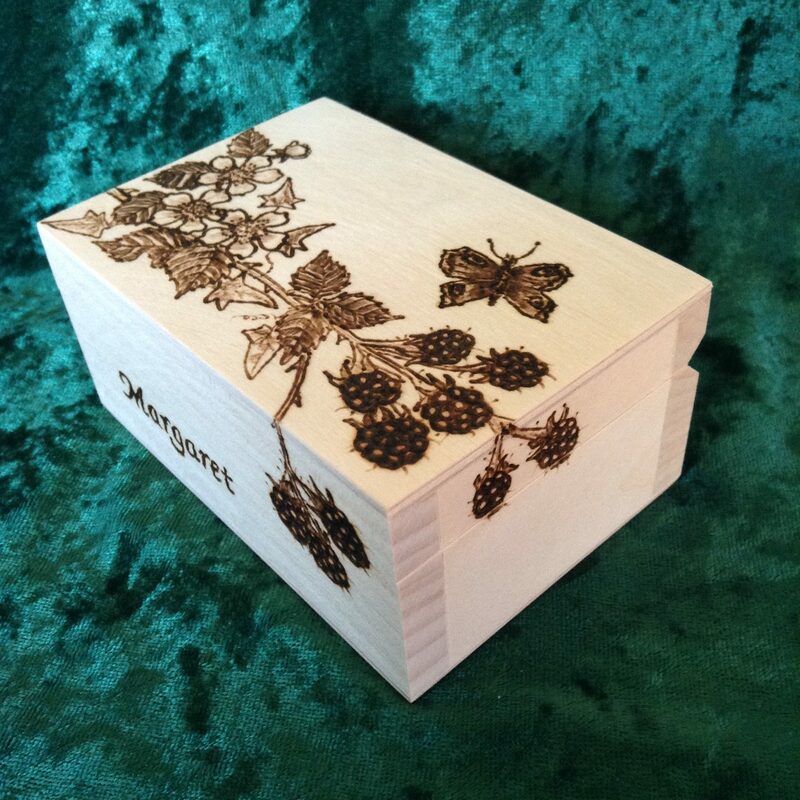 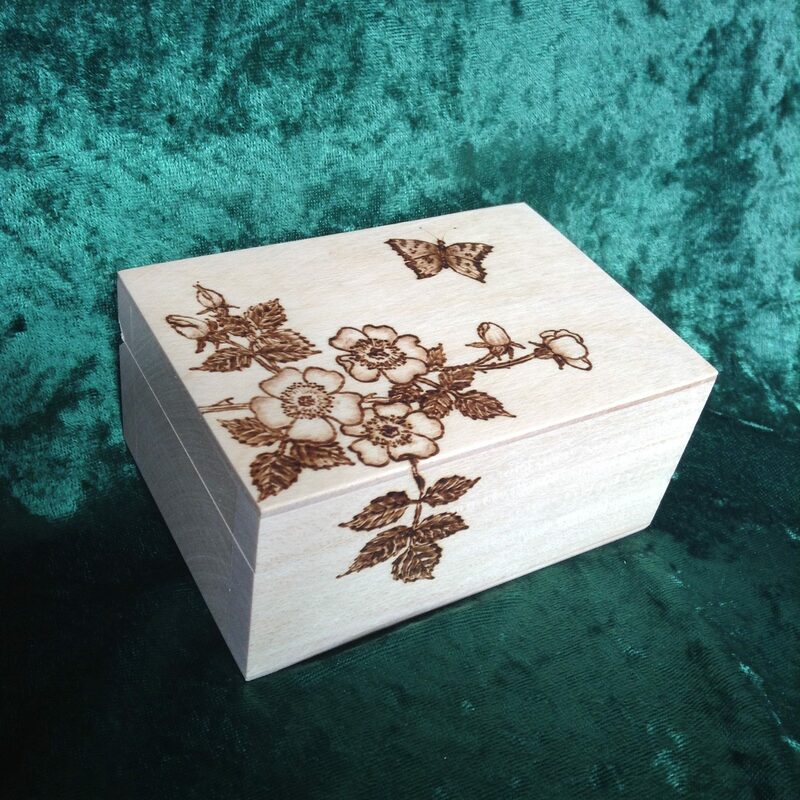 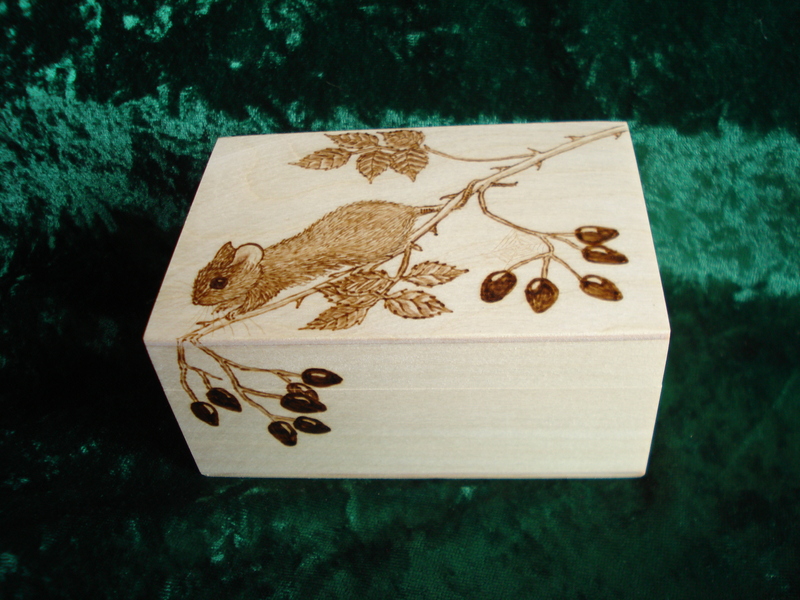 Beautiful little boxes with hinged lids and design burnt into the wood using pyrography. 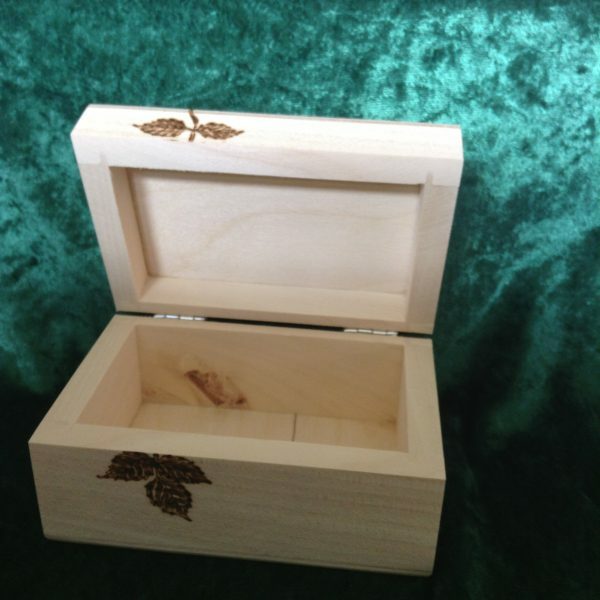 Each box measure approximately 11x7.5x5cm and is sealed and wax polished to give a lovely finish. 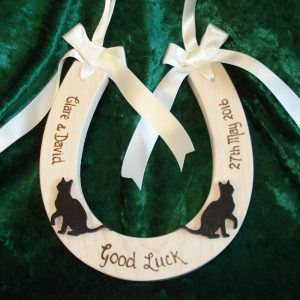 Names can be added depending on design placement. 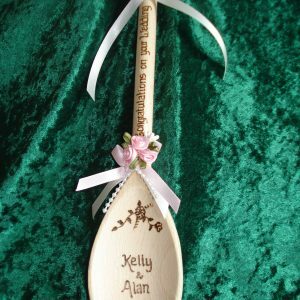 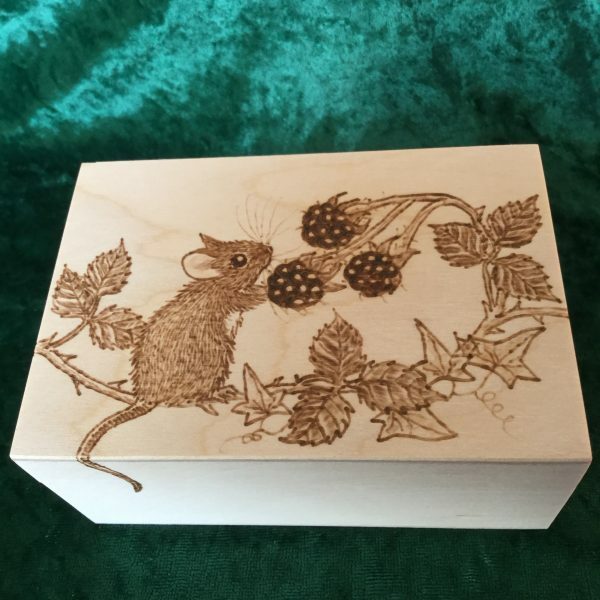 The designs available at present – mouse and blackberries, mouse and rose hips, penguin, wren blackberries/butterfly or dog roses/butterfly but I am hoping to bring more designs in the future. 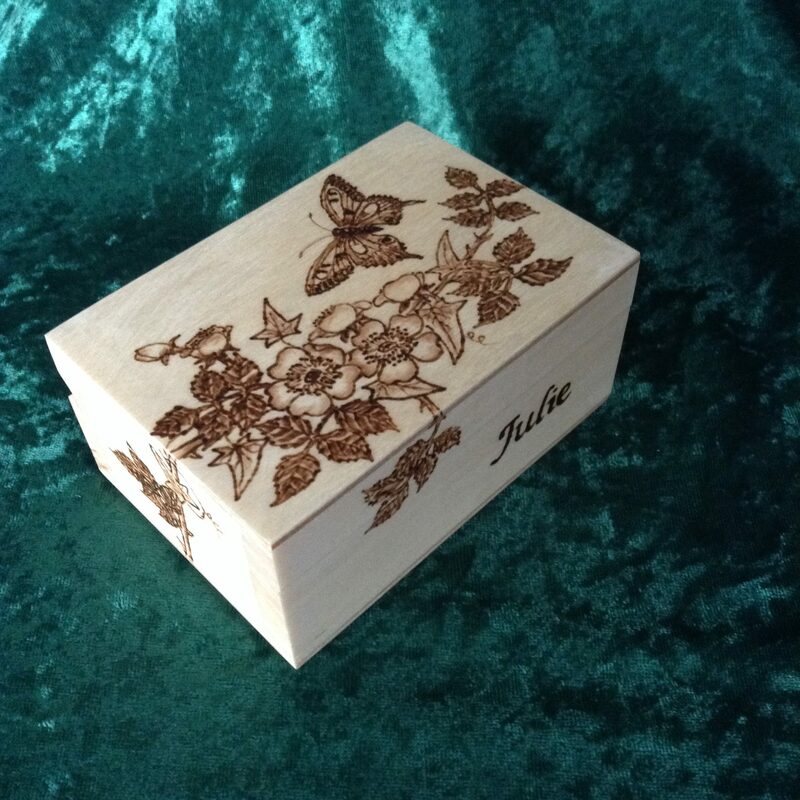 Each design is drawn freehand so no two boxes are ever the same!